What a fun morning I had! Thanks so much for inviting me along Groam House Museum. I made the exciting discovery from a wonderful gentleman that Finding Joy has been referred to the health and safety for the Forestry Commission – how incredible 😃. Amoungst the many amazing bookshops selling Finding Joy, you can also find Finding Joy on Amazon! Finding Joy is now in Cromarty! 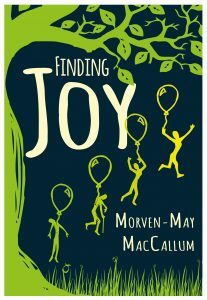 Delighted that the The Emporium Bookshop in Cromarty is now selling copies of Finding Joy! Finding Joy is now in its third print! Finding Joy has gone into a third print! I’m very excited to say (especially as today is the first day of Lyme disease awareness month) that Finding Joy has gone back to the printer for a third print run/edition!….and there’s been a redesign of the back cover – can’t wait to show it to you all. I’m delighted to be giving me frist Waterstones event! 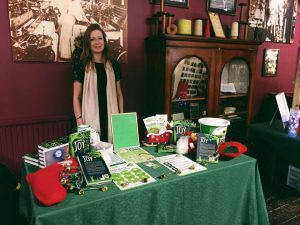 Come along to Waterstones in Inverness at 6pm on the 24th of May 2018 where I’ll be reading from Finding Joy, signing books and answering your questions about Lyme disease. The Highland Bookshop In Fort William Is Now Stocking Finding Joy. I’m absolutely delighted and so excited to say that Finding Joy is now available at The Highland Bookshop, Fort William! I had such a nice day at Ablerold today. 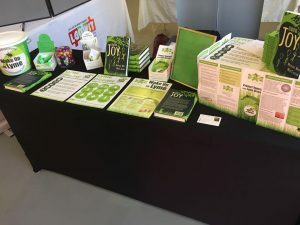 It was a pleasure to speak with so many people about Lyme disease and Finding Joy. I had such good fun with the other stall holders too. 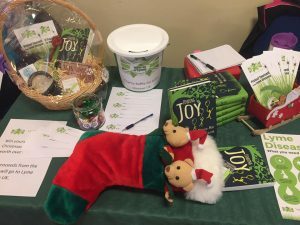 The highlight was meeting a wonderful lady who was given my book by her hairdresser and after reading Finding Joy she went out and bought more copies to give to others! What a beautiful thing to hear – it warmed my heart. 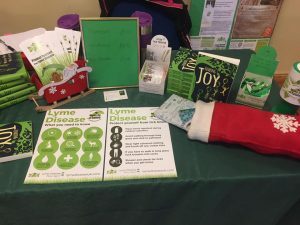 What a busy month December has been! 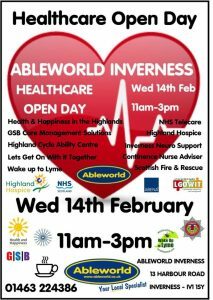 From talks in Ullapool to markets in Strathpeffer, Dornoch, Inverness and Dingwall. It’s been such a pleasure meeting people at events and hearing their stories – what a privilege to get to know such wonderful people.